RSS full form is “Really Simple Syndication”. This is the best tools to provide the update of your site to other people. RSS linked the reader, old and new to the site to improve the strength of content. When you visit any site to collect the new information, that is the wastage of time. The RSS tools save your time and expenses. You have to only subscribe the subscription of the site and confirm through your mail. That is enough to start to get the new post on your mail and information through notification. How To Connect The Site To RSS?. Google has provided RSS to add to your site group of tools in blogger blog. Wordpress and other companies are using the plugin for RSS feed. The best way to activate the RSS feed to use for blog new post circulation to every reader. These tools are useful for blogger and pod-casters and other web-based content publishers. You can add Adsense advertisement code to feed burner but two third of feed burner post will be served to readers. These tools are working from 13 years back and continue alive for the blogger. The best part of the feed burner is to serve the new post to the subscriber and improve the traffic on site through email subscription. The reader count will increase day by day by the setting of RSS. To start the feed burner option, first, create an account in Gmail. 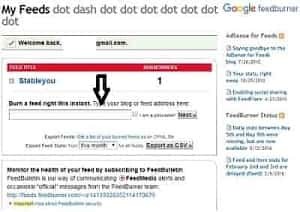 Now move on the link with Gmail account FeedBurner , and burn your feed, you will see the line on the first page of Feedburner is “Burn a feed right this instant. Type your blog or feed address here”. Press ‘next’ option and provide the details as per demand. 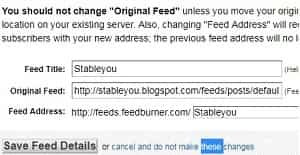 You can add your facebook, twitter and other social media account with your Feedburner. Just start to Analyze, Optimize, Publicize, Troubleshootize option and fill up the details as per demand, now press activate button given there. Your Feedburner is ready to start to burn your blog feed. Your blog reader subscribes and enjoys the new post though mail intimation. Yes, you can display your ads through blogger Feedburner. It is mandatory to share the two third content on mail. The ad agency code will be placed in blogger setting option>other>post feed footer. Every post will display an ad. That process improves the clicks on ads and will increase your earning. Now start Feedburner today.